After qualifying in 1973, Nigel spent a year as Senior Demonstrator in Liverpool University Small Animal Hospital. A few years later he started a small animal practice in Harrogate, Yorkshire in partnership with his wife Frances. They retired from their practice in 2016. In 1995, Nigel obtained his Fellowship by a thesis entitled ‘Diseases of the pelvic limb of birds of prey’. He received the Melton Award (for meritorious contribution to the veterinary profession) in 1996 and the William Hunting Award (best paper in the Veterinary Record from in veterinary practice) in 2004. 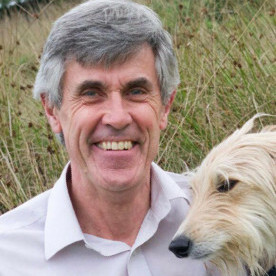 He has edited two BSAVA manuals and written for chapters in two others, including the most recent BSAVA Manual of Rabbit Surgery, Dentistry and Imaging, as well as producing papers in peer-reviewed journals and chapters in veterinary textbooks including VCNA. Since 1986 he has lectured, mostly about birds but also rabbits and small animal endoscopy, in nearly every European country, including five BSAVA Congresses, three WSAVA congresses, as well as the USA and Australia. He was a de facto European Diploma holder in Avian Medicine and Surgery from 1998 until 2011. His main interests are comparative anatomy and surgery and endoscopy in dogs, cats, birds and rabbits. For the 15 years prior to retirement 90% of his workload was referred dog and cat surgery. Finally as well as a host of other animals, he has kept and bred birds since a schoolboy. For the last 25 years his main interest has been keeping and breeding Pionus parrots.